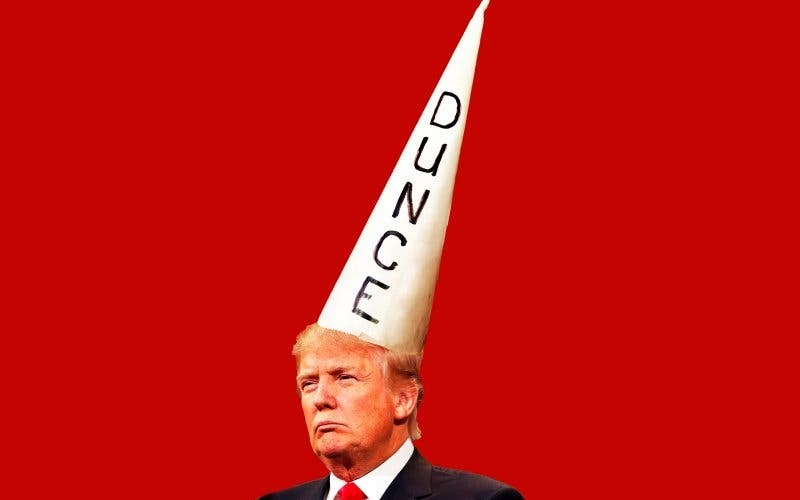 Despite all of his grand talk, conclusive evidence has come out that Trump did not graduate with honors from Wharton School of Business at the University of Pennsylvania. 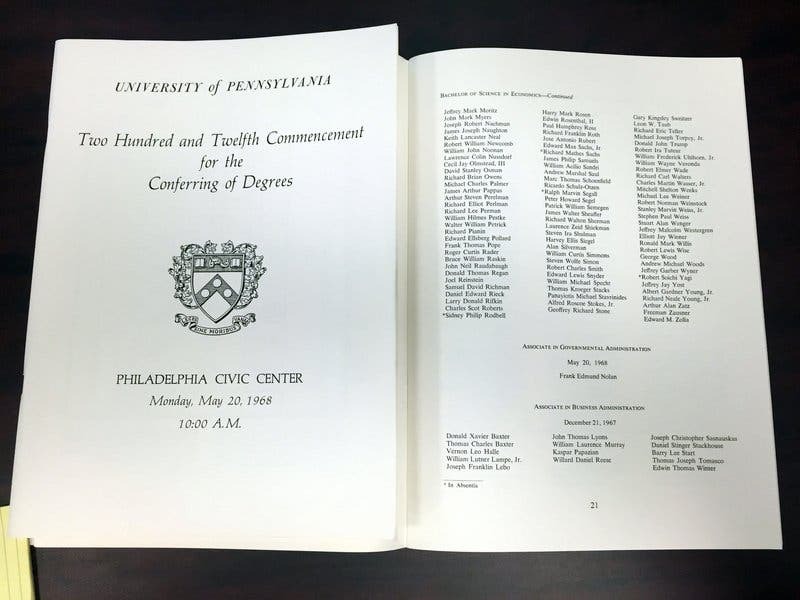 The PhillyVoice reports that a photograph of the 1968 commencement program shows that Trump did not even make the Dean’s List. You would think that a person of Trump’s stature would be able to resist telling lies that are easily falsifiable, but Trump has proven that he has no shame. He is a self-obsessed old man whose favorite activity is further inflating his ego – even by lying about his undergraduate degree from half a century ago. Trump is failing as a president, and now he can’t even compensate by fibbing about his glory days back in the 1960s. Poor crybaby Trump.